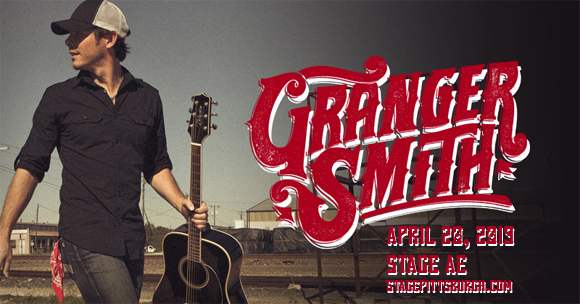 Country music renegade Granger Smith comes to Stage AE on Saturday 20th April 2019 on his 2019 tour, bringing his unique take on country music to the stage in his own inimitable way! The singer, whose most recent release was the soundtrack to his 2018 film honoring fallen soldiers, They Were There, A Hero's Documentary, will be performing brand new material, with support from his alter-ego Earl Dibbles Jr. and Smithfield! American country music singer and songwriter Granger Smith began his career aged nineteen when he moved to Nashville, Tennessee from Dallas, Texas upon signing a songwriting contract with EMI Music Publishing. His debut studio album, Dirt Road Driveway, was released in 2013 via Pioneer Music and peaked at number 15 on US country charts and number 11 on US indie charts. In 2015, he signed with Broken Bow Records imprint Wheelhouse Records, releasing his second album, Remington (2016), with the label. He has since released his third studio album, When The Good Guys Win (2017), which reached number 2 on US country charts and number 4 on US indie charts, and a soundtrack album in 2018 called They Were There, A Hero's Documentary (Original Motion Picture Soundtrack).